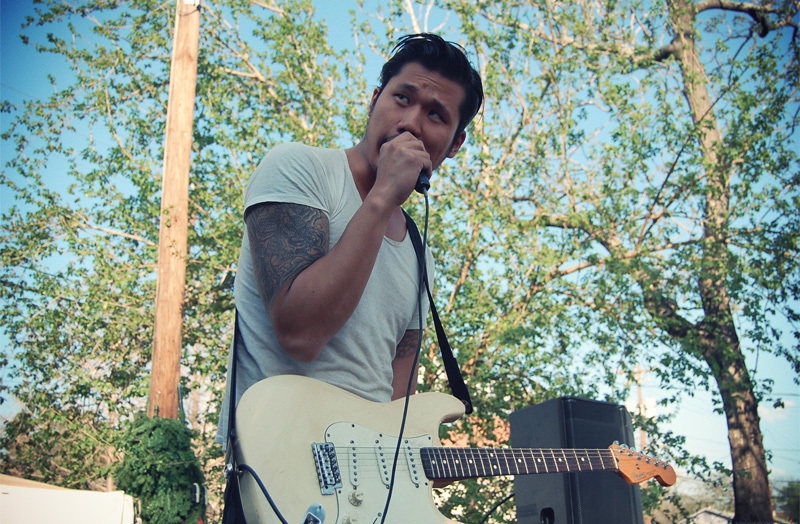 Thanks to the Altered Zones Tumblr, I came across an enigmatic photo of Canadian musician Alex Zhang (above, taken by The Decibel Tolls) performing at SXSW under his Dirty Beaches moniker. Not initially knowing who the performer was really got me interested in what music this guy could possibly be making. Attired not unlike most mainstream rock-stars I had little idea what to expect, the idyllic background could be pushing that this show was small in nature, yet still gave no clues to the style of music that Zhang has to offer.